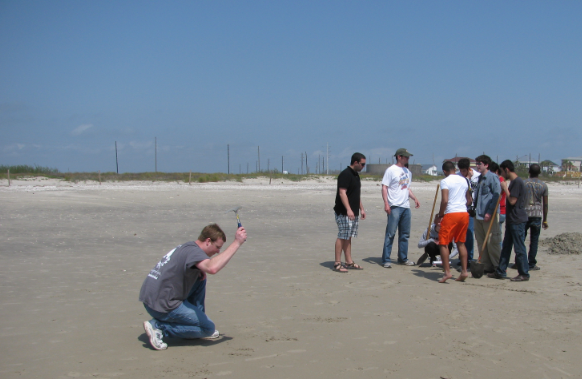 Recently I was on a sedimentary petrology field trip to Galveston, TX. While we were standing on the beach the class dug a trench to examine some sedimentary structure and I saw an opportunity to try something very interesting...a seismic survey with an iPhone. After talking with another geophysics major, Dustin, we got four phones and downloaded the iSeismo application. We knew the layer we were looking for was about 1ft down and was not dipping much so we quickly set out the phones as shown below. 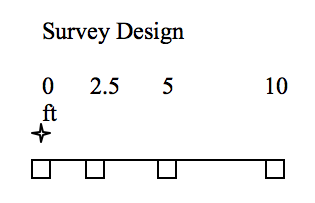 (Line length ~10x depth we wanted to image.) For a seismic source we first tried a hammer but then ended up using one geologist who jumped, and we collected three shots. All were from the same location as we were neglecting the dip so a reverse shoot was not necessary. 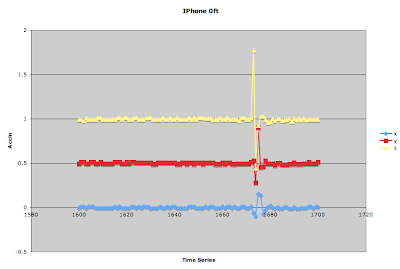 After we returned I quickly plotted up the data, and to my amazement saw seismic arrivals at ALL iPhones! Then I saw a problem. 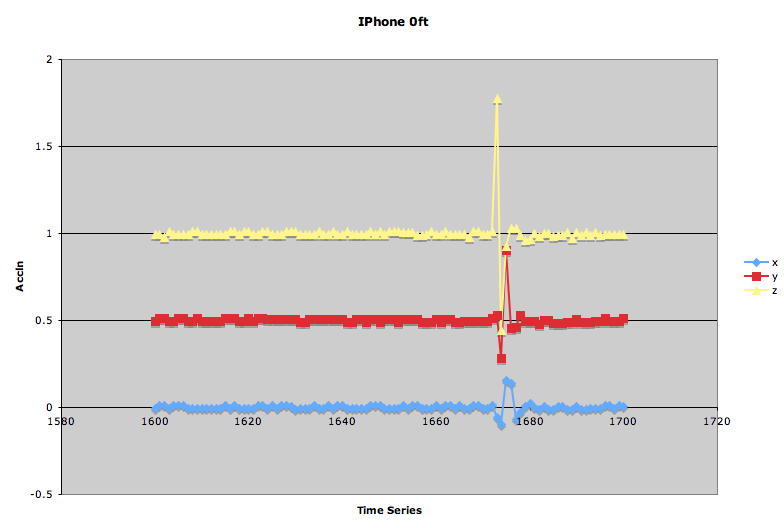 The data is time stamped, but when the iPhone syncs with the network time it is not as accurate as we had hoped. The data were seconds off when I stacked the arrivals on top of one another. So, without an accurate way to line it up I could not solve for velocities and depths of layers, but for a proof of concept this is a step in the right direction. 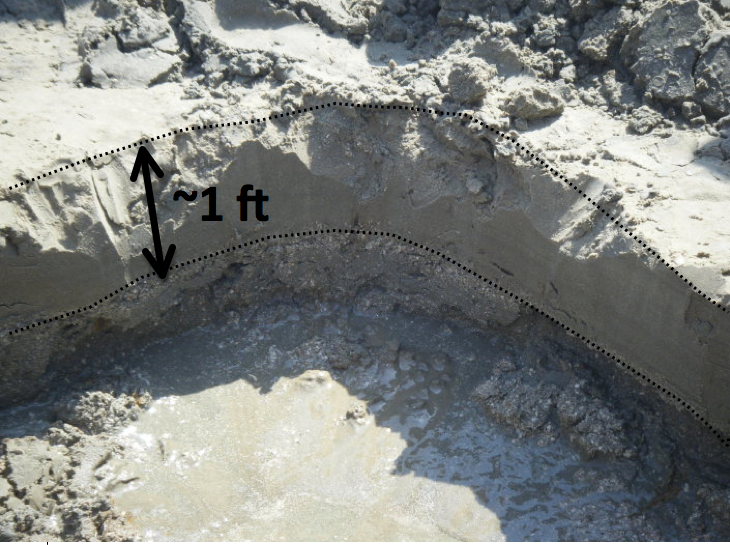 This also shows just how quick and easy it is to collect seismic refraction data! With some software modifications or syncing mechanisms this could be repeated with the possibility of better results. 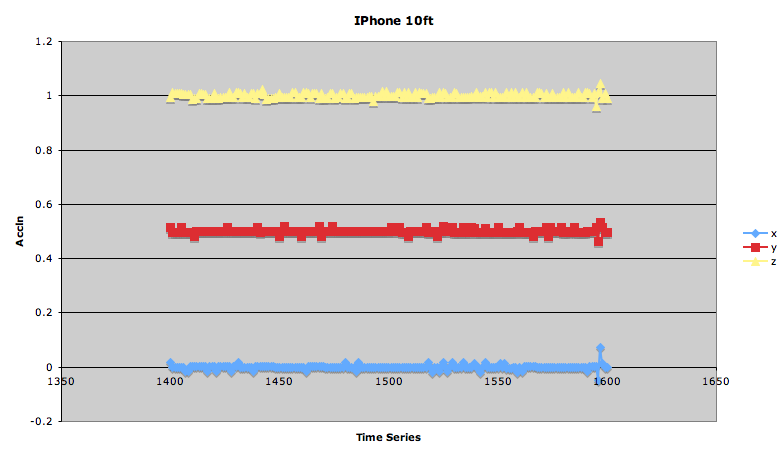 Overall it proves the versatility of both the method and the iPhone. 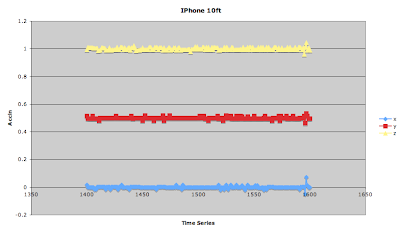 Below are plots from the iPhone accelerometer in the x,y,z directions for the first and last phones in the line. Thanks to the sedimentary petrology class, Dustin, Dr. Keranen, and Dr. Elmore.